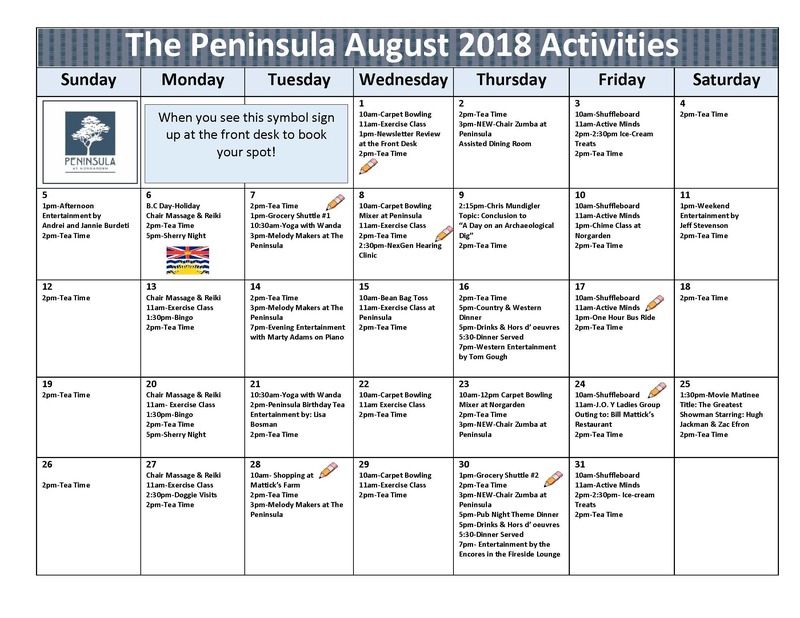 With the end of summer, we are back to familiar routines in the world of Activities. 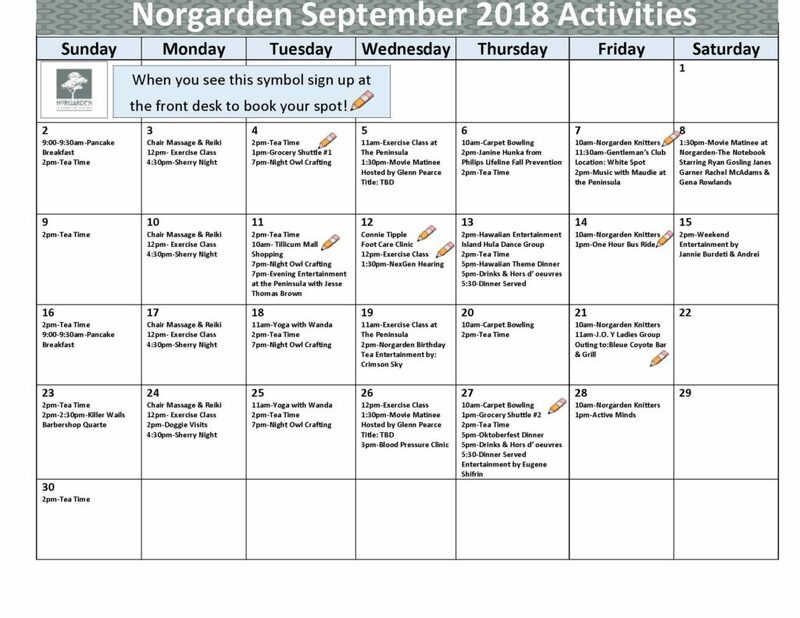 The Norgarden Knitters starts up again on September 7th, and the Men’s Club is heading to The White Spot for a burger with Nat Bailey’s legendary Triple “O” Sauce on the 7th as well! Did you know: Nat Bailey’s original White Spot “Restaurant” was a 1918 Model T, which he transformed into a travelling lunch counter to server hungry sightseers at Vancouver’s Lookout Point in 1928! J.O.Y. is going to kick it up at the Bleue Coyote Bar & Grill on the 21st. Chris Mundigler is off for one more month, and will return in October. On the 13th we the Island Hula Dancers will be dancing before we have our Hawaiian theme dinner. Chef will be serving Polynesian Noodle soup or Hawaiian Salad for appies, for the Entrée there will be a choice between Pineapple Sweet and Sour Meatballs or Hawaiian Ham Steaks, with Pineapple Glory Pie for dessert. YUM! Octoberfest! This year it will happen on Thursday September 27th. 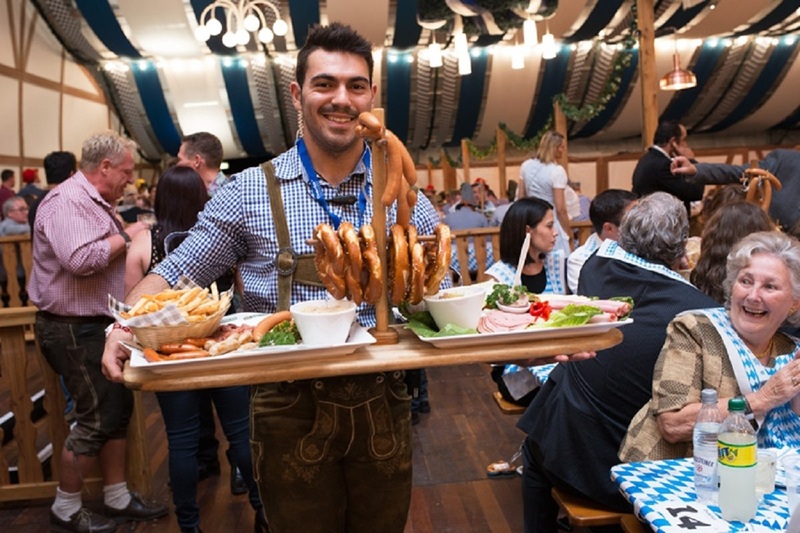 Appies are a choice of German Lentil Soup or German Potato Salad, Entrée: Weiner Schnitzel or Grilled Bratwurst Sausages with Black Forrest Cake for dessert. Entertainment will be by Eugene Shifrin for both Norgarden and The Peninsula. On the 15th Andrei and Jannie Burdeti are back for another delicious performance. As always, check out the calendar below for all the other activities Kathleen has organized for this month.